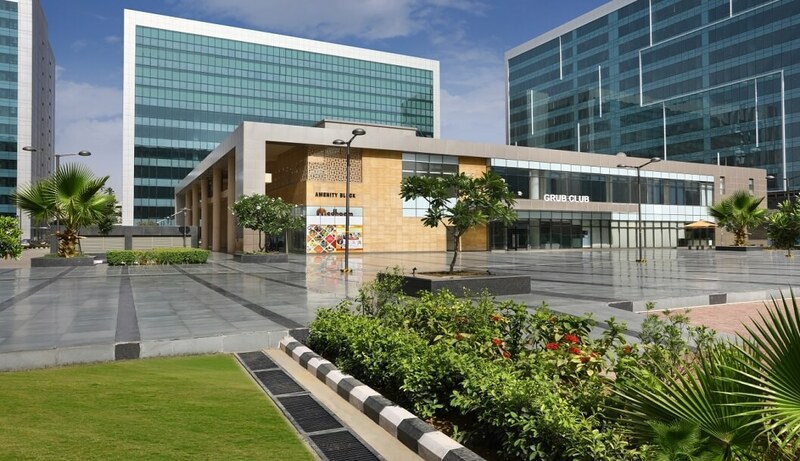 If location is the most important facet of any project, this campus stands tall for its prime position at the Sohna road micro market – the secondary business district of Gurugram. The campus can be easily accessed from NH-8 or the Golf Course road due to its proximity from Subhash Chowk. 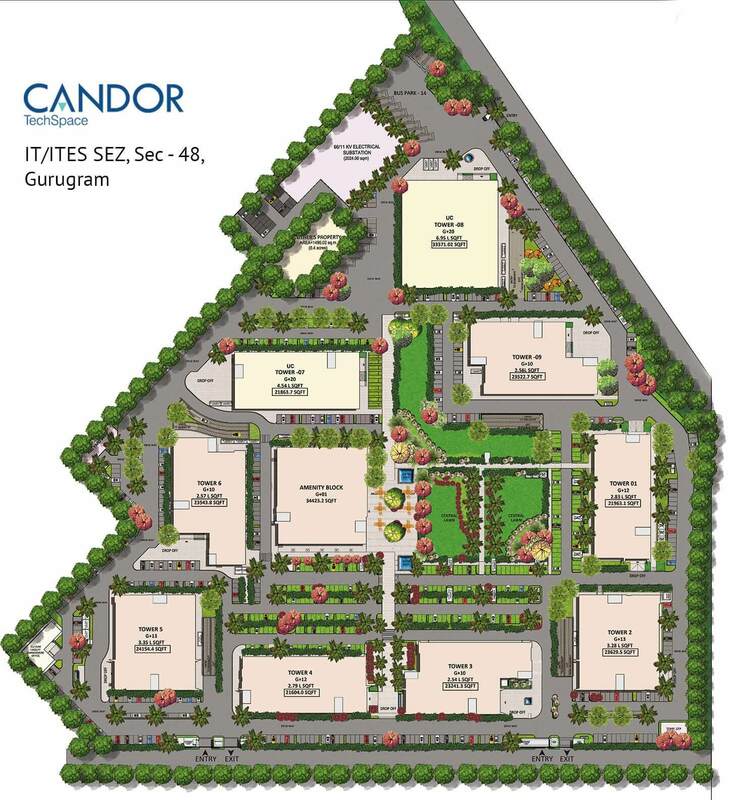 The campus is developed around a huge central green dotted with wide, open spaces and a well-planned amenity block. The architecture adheres to the international standards of quality with highly efﬁcient ﬂoor plates, premium building structures, accentuated by double glazing to ensure least power consumption and better air conditioning everywhere. The campus delights with its bouquet of amenities and facilities. There is a day care centre, food court with free Wi-Fi access and some indoor sports facilities. There is a separate parking space for visitors and employees. To ensure 24×7 grid power supply, there is a planned and approved 66 KV sub-station and for enhanced safety and security, there is a fully operational Visitor Management System (VMS) in the campus.Moreover, the campus also facilitates you with STP, rainwater harvesting and LED lights.